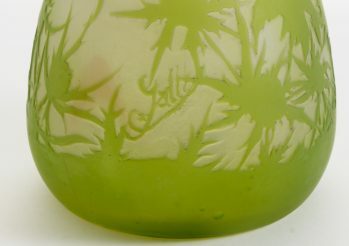 A Galle fire polished cameo glass vase with a bottle form and pinched lip complete with classic green thistle decoration. 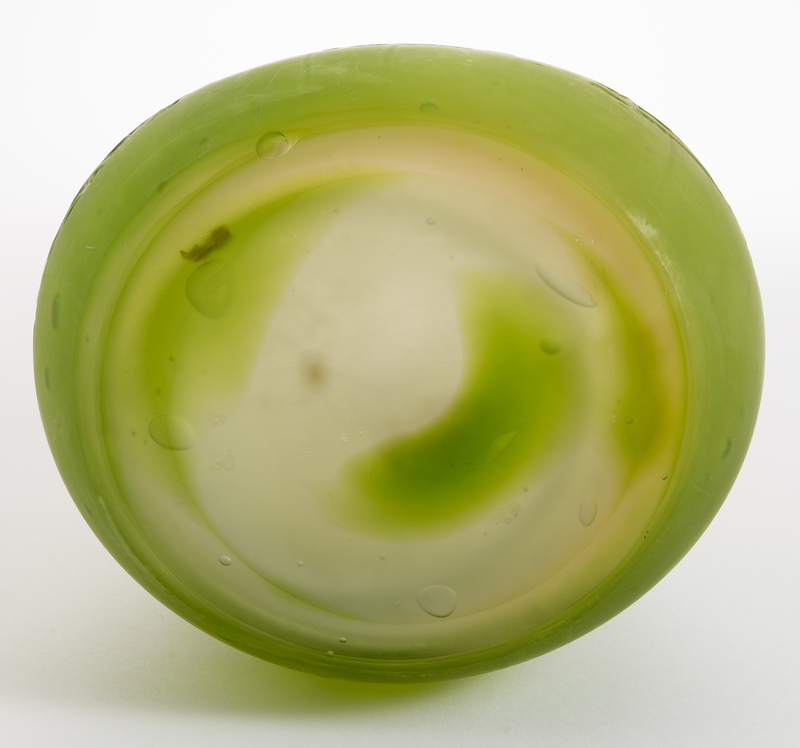 Signed "Galle" in green cameo. 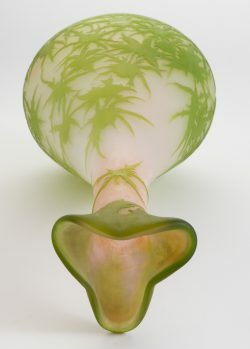 14.5" tall.